A report from the World TeamTennis meeting between the San Diego Aviators and the New York Empire. The New York Empire have dropped their fifth straight match to open the season, falling to the San Diego Aviators 5-3, 3-5, 5-3, 5-3, 5-4. Despite San Diego winning four of the five sets, no set was a blowout. The Aviators improved to 3-2 on the season as they won their second straight road contest, one night after blowing out the Washington Kastles. 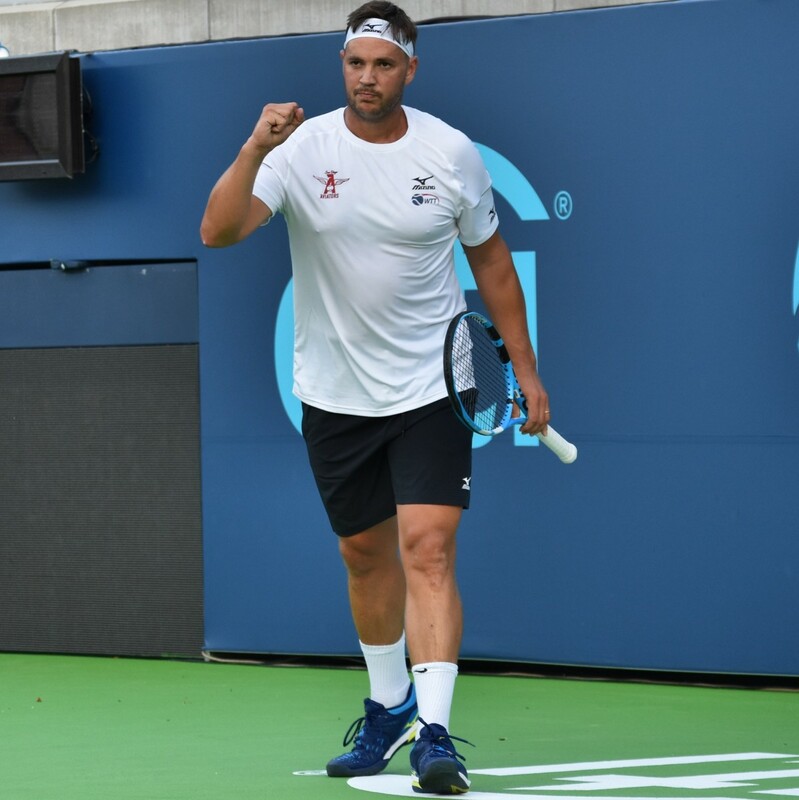 Men's singles opened play with Marcus Willis of San Diego facing Dennis Novikov of New York. The Brit achieved the only break needed in the third game when the American's crosscourt forehand was just wide. Neal Skupski replaced Novikov after the fourth game, but it did little to change the outcome of the set. The Empire's fortunes reversed in women's singles as Tatjana Maria took down Naomi Broady to even the overall score at 8-8. The Brit double-faulted in the opening game to hand the lead to the German. Both players fought off several more break chances, but ultimately Maria's one break lead held up. Men's doubles was next with Willis partnering Marcin Matkowski against Skupski and Novikov. Once again, one break was enough to decide the set, this time it came in the fifth game as Novikov shoveled a backhand long, giving Willis and Matkowski a 3-2 lead. The Brit carved out a beautiful backhand volley to close out the set and give the Aviators a 13-11 overall edge. Broady teamed with Anna-Lena Groenefeld against Maria and Maria Jose Martinez Sanchez in the women's doubles. The Aviators' duo got the early break when Maria blasted a backhand into the net for a 2-0 lead. Three straight breaks followed, but the most crucial game was the last when Broady put away a smash to all but seal the victory for San Diego. Leading 18-14, the mixed doubles was last and the Aviators sent out Groenefeld and Matkowski with the Empire choosing Martinez Sanchez and Skupski. This time it was the Empire with the early break as Matkowski's forehand found the net. San Diego would break back and the set went to a tiebreaker, won by the Aviators when Martinez Sanchez hit a forehand volley long.